Earlier this week, League of Legends’ new ‘Awaken’ cinematic dropped. It’s an almost game-changing video, bringing both the characters and world of Riot’s MOBA to life more effectively than anything the developer has created before. So you can imagine my surprise when yesterday, Riot came out with another trailer. You can check out the video, which is titled A New Journey, further down this article. Apparently inspired by a true story, it is, to put it politely, extremely anime. 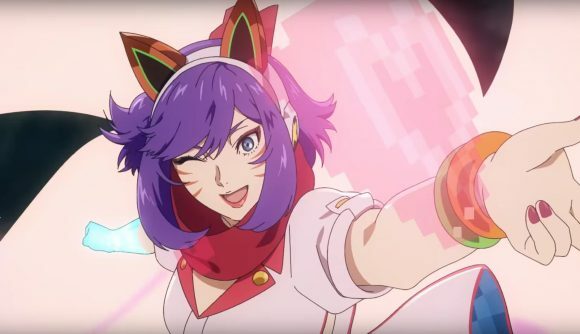 Set to some jumpy J-pop-style lyrics, animated footage of a League of Legends game is interwoven with some wholesome cartoon storytelling. Opening to footage of a Yasuo getting absolutely stomped by a Zed, the video zooms out to find the person playing the character staring distraught at a defeat screen. In the wake of that crushing loss, the player somehow becomes co-opted into a college League of Legends team, sitting down next to some handsome gentleman with an appropriate amount of anime blushing. From there, it’s time for the fun to begin. Part of what I liked so much about Awaken was that characters we’ve not seen before in cinematics got their moment in the spotlight, and A New Journey captures that as well. Admittedly, Yasuo and Ahri show up, but so do Braum, Ornn, Caitlyn, and even relatively new addition to the roster Zoe. This being an anime homage, it’s no surprise that our Yasuo player’s fortunes are reversed, and everyone’s extremely content at the end of the video. You can check it out in its entirety in the video above. Elsewhere in League of Legends, the community is gearing up for the new season. League of Legends patch 9.2 arrives this week, bringing new champion Sylas and plenty of Lunar New Year revelry to the rift.